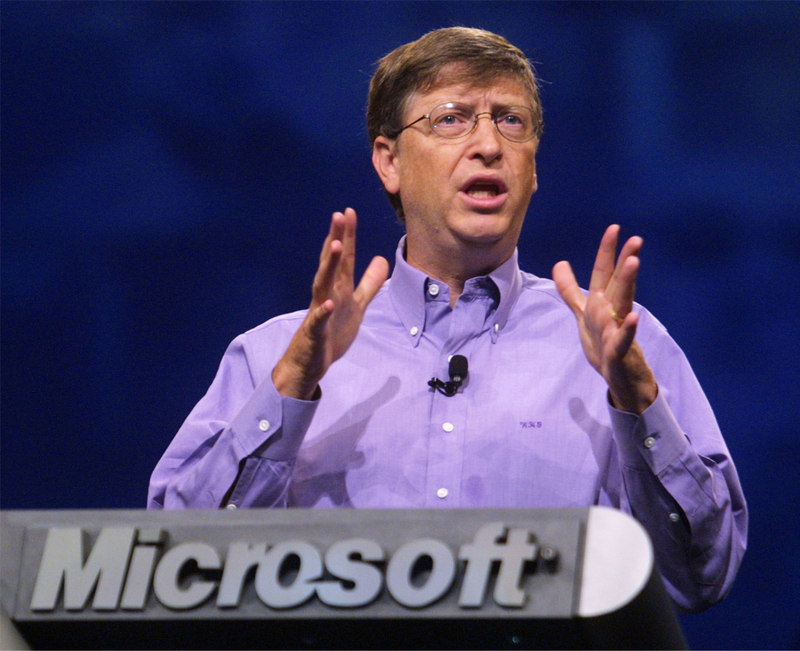 John Battelle's Search Blog Bill Gates Active Again At Microsoft? Bad Idea. Not to mention, a return to an active role at Microsoft would be a bad move for Gates’ personal brand, which along with Bill Clinton, is one of the most remarkable transformation stories of our era. Lest we forget, Gates was perhaps the most demonized figure of our industry, pilloried and humbled by the US Justice Department and widely ostracized as a unethical, colleague-berating monopolist. The most famous corporate motto of our time – “Don’t be evil” – can thank Microsoft for its early resonance. In its formative years, Google was fervently anti-Microsoft, and it made hay on that positioning. Bill Gates has become the patron saint of philanthropy and the poster child of rebirth, and from what I can tell, rightly so. Why tarnish that extraordinary legacy by coming back to Microsoft at this late date? Working one day a week at a company famous for its bureaucracy won’t change things much, and might in fact make things worse – if the product teams at Microsoft spend their time trying to get Gates’ blessing instead of creating product/market fit, that’s just adding unnecessary distraction in a market that rewards focus and execution. If Gates really wants to make an impact at Microsoft, he’d have to throw himself entirely back into the company, focusing the majority of his intellect and passion on the company he founded nearly 40 years ago. And I’m guessing he doesn’t want to do that – it’s just too big a risk, and it’d mean he’d have to shift his focus from saving millions of lives to beating Google, Apple, and Samsung at making software and devices. That doesn’t sound like a very good trade. Um… I don’t think Bill Gates was CEO when any of those products launched. On the other hand, HIS products destroyed any competition… so your theory needs work. Yes, good point. So if he was to come back, it’d have to be as CEO, by that logic, no? I’m not sure how you transform a company to change by substituting old leadership with more of the same old leadership (no disrespect to Mr. Nadella). They’re obviously playing it safe and that’s a recipe for flaming out in the new tech marketplace. They should have focused on developing a new culture and climate for change – bring in a new lens to evaluate and develop the future. If the name isn’t Ballmer or Gates, that’s a major change in itself. I read that Gates is going to spend “a few days a week” at the company. That might be enough to rally the troops and effect change….but we’ll see. Previous Previous post: Step One: Turn The World To Data. Step Two?